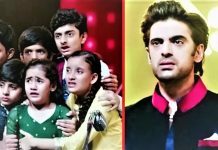 Kulfi Kumar Bajewala Heartbreaking twist. Sikandar cries when Amyra gets critical. Lovely doesn’t divert from her goals. She makes Sikandar realize that Amyra will never come back to him. He tells her that he will do anything she tells him. He requests her to let her meet Amyra. Lovely tells him that maybe he is afraid for Amyra now. She argues with him right inside the operation theatre and proves that she isn’t concerned for Amyra. She claims of loving Amyra. Sikandar tells her that he will do anything for Amyra if she gives him a chance. She asks him never to meet Kulfi again. She keeps the big condition and asks him to completely abandon Kulfi. She asks him if he can do this for Amyra and her. She wants him to decide it soon. 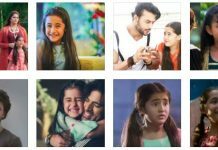 Sikandar tells her that he can’t choose any one of his daughters. He begs Lovely to forgive him, he can’t send Kulfi anywhere. He decides not to part ways with Kulfi. Kulfi gets happy to know that Sikandar won’t abandon her. She feels sorry for him. She feels he is really a hero who will set everything fine for them. Sikandar tells Lovely that he will not abandon Kulfi at any cost. He asks her to understand him, he has to keep his promise towards Kulfi. Kulfi prays for Amyra that she gets saved. She tries to lessen a boy’s sorrow by giving him courage. Sikandar doesn’t want to break Kulfi’s trust. Lovely asks him if he will let Amyra die. She asks him to just decide between Amyra and Kulfi. He tells her that Kulfi can’t live without him. She tells him that if he doesn’t send Kulfi away, then he will lose Amyra forever. She puts him in a big fix. Sikandar looks for Kulfi to explain her. He heads to a Dargah to find some way. He doesn’t want to break Kulfi’s faith in him. Lovely wants Sikandar to choose them at any cost. She feels sorry to hurt Amyra so much. She tells Amyra that they have lost Sikandar for once and all. She wants to take her life so that Sikandar regrets for his choice. Lovely feels she has failed in keeping the promise to Amyra. Lovely is about to commit the crime of poisoning her daughter once again. Sikandar makes a timely entry and meets Amyra. Lovely stops knowing he has chosen Amyra over Kulfi. Sikandar sings a song for Amyra and apologizes to her. He tells her that they will live like a happy family. He tells Amyra that he can’t live or die without her. He finds his answers at the Dargah, knowing Kulfi belongs to him and will always be of him. He breaks out his decision to Lovely that he will send Kulfi away from him. Kulfi breaks down hearing his decision. Sikandar abandons Kulfi, which breaks her heart.